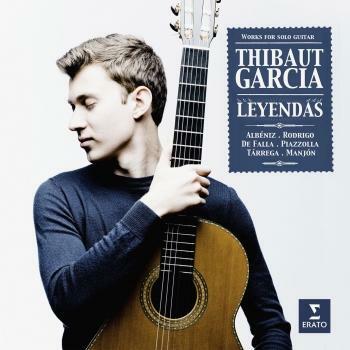 Born in Toulouse to Spanish and French parents, Thibaut Garcia was drawn to the guitar from the age of seven, inspired by his amateur guitarist father and the recordings of Andrés Segovia. He began his studies at the Paris Conservatoire aged just 16, coming to international attention soon after with several major competition wins to his name. By the time he was 21, he had taken First Prize in the International Competition of the Guitar Foundation of America, the José Tomás competition (Spain), and the International Guitar Competition of Seville, among others. The coveted Guitar Foundation of America prize enables Garcia to undertake an extensive US tour of more than 50 concerts September-December 2016, culminating in his Carnegie Hall debut.